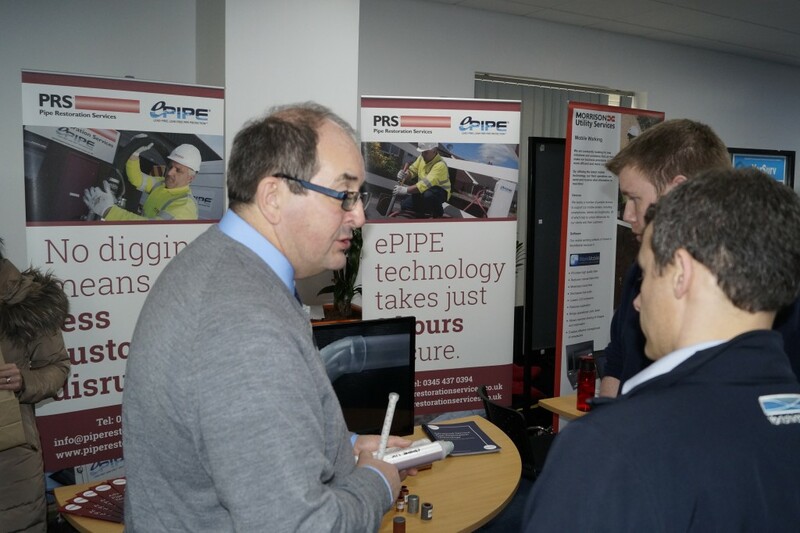 Yorkshire Water invited the PRS team to an innovation event in Bradford to showcase the benefits of ePIPE ‘no dig’ technology to reduce lead and leakage. PRS was also in Bradford recently to help tackle leakage issues at a multi-unit social housing project. The problems went back many years and were caused by corrosion of copper pipes and poorly installed fittings. The project presented many challenges including health issues and overcoming language barriers to gain access to properties. Sixty-seven cold supply pipes were lined from the internal stop tap through to the point of entry at the exterior of the building. Air hoses were routed up the foot wells and around communal staircases and landings to minimise customer inconvenience. The project was completed in a timely manner and all properties were returned to service at the end of each day.